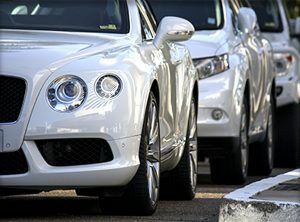 Clients of All States Car Transport trust us to transport their luxury, exotic, and classic cars with unparalleled service. Car owners and dealers alike know our passion for cars, our penchant for details, and the professionalism and excellence shown while transporting their luxury and exotic car. Cars are not just what we do; they are our hobby, our passion, and what we think about even when we aren’t at work. We fully recognize and appreciate that you invest your money, time, and heart into your car. That being said we treat your car the way you want it to be treated, with the utmost respect and care we are capable of. Many of our clients recall the years they spent wishing to one day own their dream car. They remember the day that dream turned into reality as they drove their dream ride off the lot. 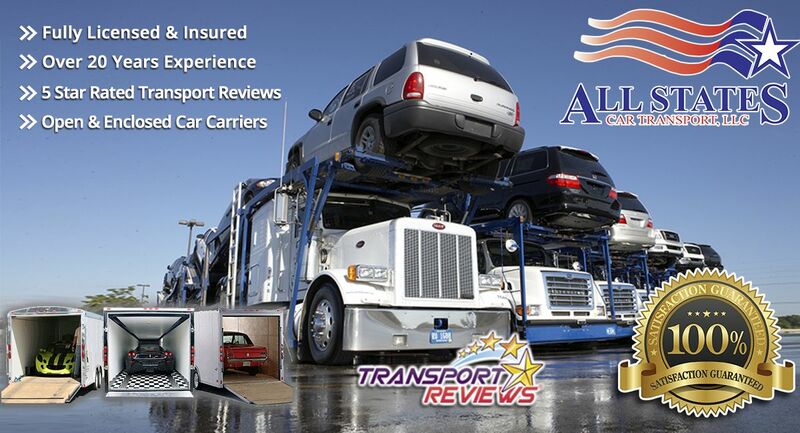 All States Car Transport understands that dream and how your car is more than just mere transportation. This understanding and appreciation is what drives us to obtain your confidence and trust, and maintain it over time. If your luxury, exotic, or classic car needs to be transported and only the best enclosed automotive transport company will do, call or email All States Car Transport for a quote today! Our new and meticulously maintained fleet of environmentally conscious biodiesel powered tractors and enclosed trailers are kept in tip-top shape both inside and out. All of our trailers are custom designed from the ground up including a low profile hydraulic lift gate rated at over 8,000 lbs and fully adjustable upper and lower floors allowing our drivers to individually fine tune the positioning of every vehicle. This premium feature ensures the safety of all vehicles in the enclosed transporter from point A to B. On top of these custom interior features all of our custom car transport trailers are fully enclosed and protected from the elements. So whether your car is being transported through sunny Florida or snowy Utah, you can rest assured that your car is safe and secure within our custom trailers. All States Car Transport sets the bar with the extra precautions to keep your car safeguarded throughout the entire car transport process. Our trained drivers carefully load, transport, and unload your car, following specific processes and protocols. When it comes to securing cars most transportation companies use chains to hold cars in place. This antiquated solution can result in damage to paint, suspension, and even to the chassis. All of our trailers are designed to allow the use of “soft-tie” straps that are placed over the tire to gently but securely fasten your car to the trailer. By only using these soft straps around the tires we are able to protect the car in two major ways: soft tie-down straps do not scratch the wheels or chassis paint, and securing the tires instead of the body allows the car’s suspension to move freely protecting it from shock and vibration. No matter what kind of car you need enclosed transportation for or where its being transported to, All States Car Transport will make sure that it arrives at the destination on-time in exactly the same condition as it left. We are constantly developing new ways to better care for your car in every aspect of our business. Our dedicated team of car enthusiasts will do whatever it takes to ensure every car transport is performed with the utmost quality. Luxury Car Transport	Overall rating:	4.8	out of 5 based on 8	reviews.